Targeted for institutional death by conservatives, including many Texans, the U.S. Export-Import Bank gained a small measure of hope on Monday when the U.S House took the first step toward reauthorizing it. 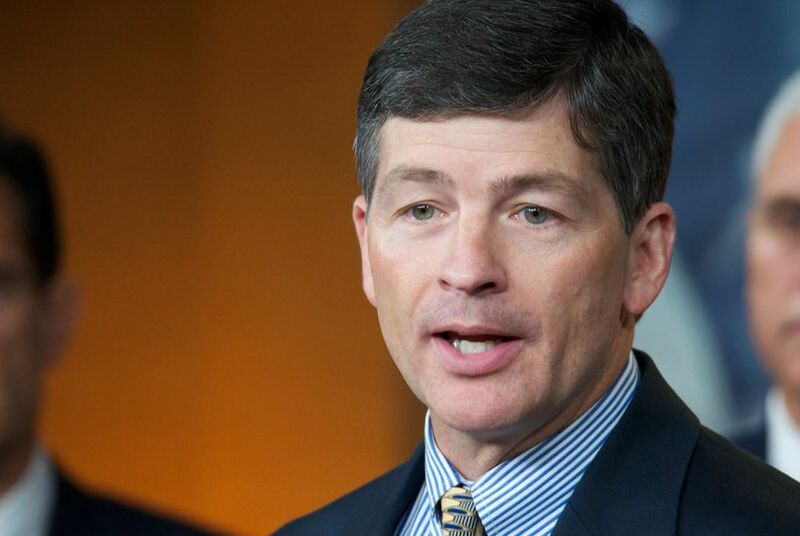 U.S. Rep. Jeb Hensarling, R-Dallas. WASHINGTON — Despite opposition from high-profile Texans, the U.S. House of Representatives Monday night moved forward on reauthorizing the Export-Import Bank of the United States, whose charter lapsed over the summer after conservatives targeted it for institutional death. Members did not revive the agency outright but took the first step by using an obscure parliamentary maneuver to bypass the House leadership — and two Texas committee chairmen — and in effect force the contentious issue to the House floor. A resolution to reauthorize the bank's charter had been bottled up in the House Financial Services Committee, effectively blocked by Chairman Jeb Hensarling, R-Dallas, who told the Tribune in June: “I just don’t think, ultimately, you can ever deal with the social welfare state unless you first deal with the corporate welfare state." But a majority of House members support the bank, and they used the parliamentary move to bypass Hensarling and move the resolution to the House floor. The actual reauthorization is expected to pass on a floor vote in coming days. The resolution's likely fate in the Senate is unclear. A coalition of 246 House Republicans and Democrats voted Monday to move the legislation forward. A bloc of 177 Republicans, including 23 Texans, voted to stymie the legislation from reaching the floor. U.S. Reps. Randy Weber of Friendswood and Ted Poe of Humble, were the only Texas Republicans who voted to move forward with reauthorization, along with all eleven Texas Democratic House members. The Export-Import Bank is a government agency that uses loan guarantees, direct loans, insurance and other support to help U.S. businesses sell their goods overseas. The GOP's business establishment backs the bank, arguing that it costs the federal government no money to operate and is a boon to job creation. Tea Party groups, though, vigorously oppose the agency, charging that it is evidence of "corporate cronyism." The maneuver to move forward Monday night was called a "motion to discharge," a rarely used procedure. Essentially, rank and file members of both parties forced the issue to the floor after months of accusations that Hensarling was blocking reauthorization. The motion also cut into the authority of the House Committee on Rules and its chairman, U.S. Rep. Pete Sessions, R-Dallas. The Rules Committee regulates the mechanics of legislation, and Sessions joined Hensarling last week to oppose this legislative trajectory. One of the most closely watched votes was that of freshman U.S. Rep. Will Hurd, R-San Antonio, who voted against the bank's reauthorization reaching the floor. He represents the only competitive federal seat in the state, Texas' 23rd district. Democrats, who are increasingly confident they will pick up seats in next year's elections, are readying campaign attacks against Republicans who vote against reauthorization. Hurd's Democratic rival, ex-U.S. Rep. Pete Gallego, telegraphed in an interview with The Texas Tribune last week that he intended to use the bank issue against Hurd in their 2016 rematch. Democratic Minority Leader Nancy Pelosi, R-Calif., also advocated for the agency in an Austin interview with the Tribune.